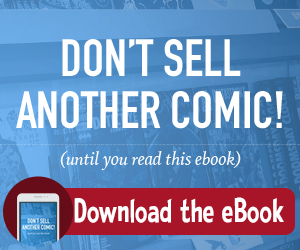 We’ve added a bunch of great new comics for your customers to subscribe to, and they’re all linked directly below! DC Comics – The Super Sons Book One – The Polarshield Project TPB is the first in a trio of epic graphic novels that follow the Super Sons as they discover their place in a rapidly changing world. Written by Ridley Pearson with art by Ile Gonzalez. Marvel Comics – Uncanny X-Men Winter’s End, when the X-Men get a visit from the future from an older and much more morose Bobby Drake telling the younger Iceman to give up being a hero, it will be up to all of the Uncanny team of friends to figure out what went wrong. Image Comics – Hit Girl Season Two comes at you from writer Kevin Smith and artist Pernille Ørum (creator of DC Comics Superhero Girls) as everyone’s favourite girl assassin heads to Tinsel Town to paint the town red. Literally. If you like our image, click here to download the December 2018 new image, otherwise make your own, but keep it 1140 x 380 for optimum size. From BOOM! Studios comes Hotel Dare, an original graphic novel by Terry Blas and Claudia Aguirre. Three teens take a summer job with a distant relative only to find out that her rundown hotel is a multi-dimensional nexus! Dark Horse Comics presents Anthem, based on the upcoming BioWare/Electronic Arts video game with a creative team of Alexander Freed, Mac Walters, and artist Eduardo Francisco. Also from Dark Horse The Girl in the Bay from J.M. DeMatteis and Corin Howell present a new dark fantasy about a girl left for dead in Sheepshead Bay who emerges alive…50 years later to find out that someone (or something) has lived her life in her absence. 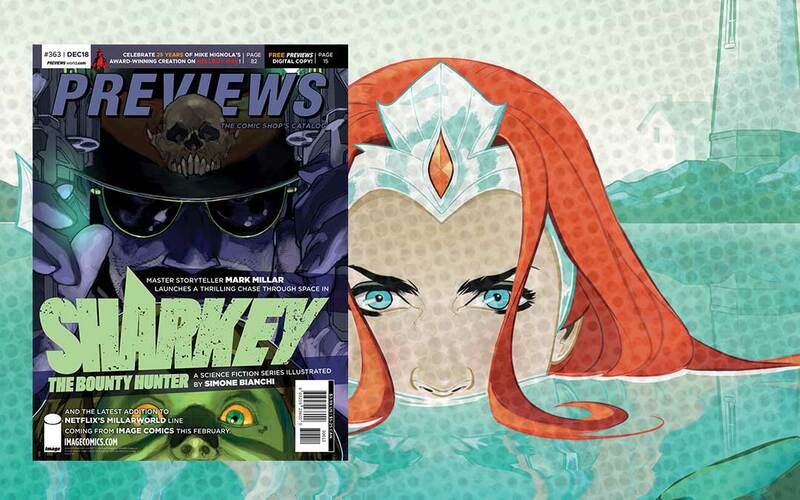 DC Comics: Mera Tidebreaker is the new young adults graphic novel from bestselling author Danielle Paige and illustrator Stephen Byrne as they explore Mera’s first steps on land and her decision to be a hero…or a villain. The Wonder Twins are back! This new series from Brian Bendis’ Wonder Comics sees the alien brother-sister duo of Zan and Jayna navigate life as teens on earth at South Metropolis High School under the watchful eye of Superman. At Marvel, look for Avengers – No Road Home is a weekly Avengers event written by Al Ewing, Jim Zub, and Mark Waid with art by Paco Medina. Featuring a team of Avengers that includes the Scarlet Witch, Vision, Hercules, The Hulk, Hawkeye, and Rocket Raccoon along with the forgotten avenger Voyager searching for the Shards of Night to bring an end to universal darkness. Old Man Quill is the tale of the old guy who gave up being Star Lord to become the Emperor of Spartax, giving up his role to follow his former teammates on one last heist.